Salmon is one of toughest foods you can cook. 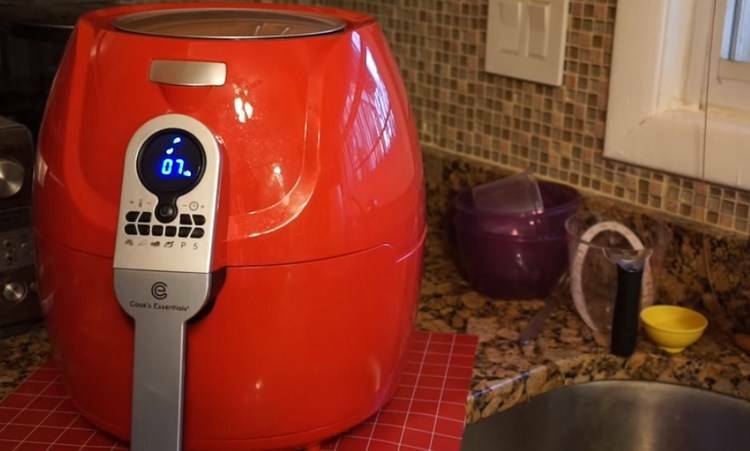 It takes quite some time to master the art of cooking salmon and many people have now converted to an Air Fryer and might be wondering if it is possible to cook salmon with an Air Fryer. Since it can be difficult to cook salmon perfectly, we have tested a couple of techniques and recipes to find out how to cook salmon perfectly with your Air Fryer. 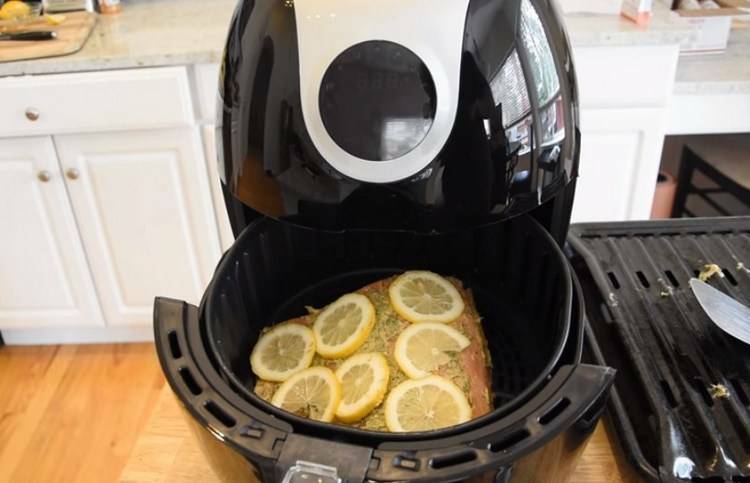 If you love salmon, but you are a little skeptical about using your Air Fryer, this article should be the perfect read for you. 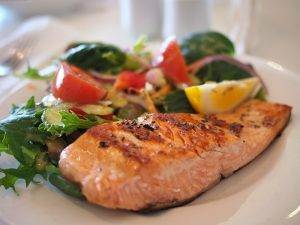 We have asked a couple of chefs as well as tested numerous to recipes to find out how you can cook the perfect salmon without having it mushy or oily. Here are a few of the top techniques used to cook salmon in an Air Fryer. Depending on how you like to eat your salmon, these techniques might be for you. Most world-class chefs will frown upon the mere thought of cooking salmon in a frying appliance. 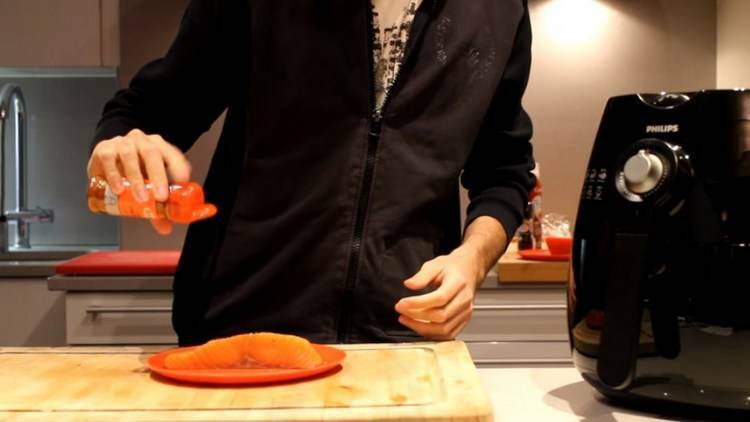 However, with some of these techniques, you can cook your salmon diligently and have a tasty meal ready in virtually no time at all. As a rule of thumb, it is important to bring your salmon to room temperature before you are cooking them. This will allow the water to drain naturally the salmon will not end up having a mushy texture. 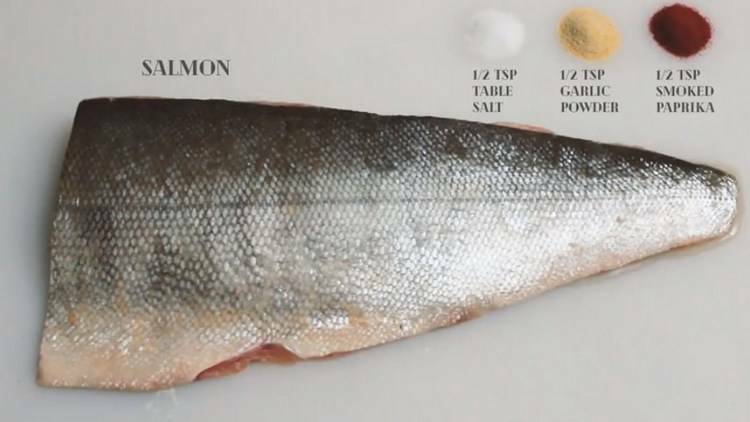 Compared to many fish, salmon is quite dry and it does have a flaky texture when done. However, excess moisture might lead to mushy salmon and this will ruin the entire dish. We recommend taking the salmon out of the fridge and allow it to rest for about 1 hour before cooking it. You will start to see most of the moisture is removed naturally. If the salmon is frozen, you should leave it in the fridge overnight to thaw naturally as well. However, most chefs recommend using fresh salmon if you are to get the best possible taste. Nothing can be more frustrating than having a to enjoy your salmon with the bones still inside. This can ruin the meal and you might end up having to destroy the texture when removing these bones. Salmon bones are really easy to remove raw and this keeps the salmon from falling apart as well. Using nose needle pliers, you can easily remove these bones before cooking them. Another important step is to add the spices or rubs before you put them in the fryer. This will allow the salmon to be cooked with these spices and they will be absorbed into the food. Since no real moisture is added, you don’t need to worry about the spices being soaked up and removed from the salmon either. You can use any of your favorite fish spices, but we have seen a little salt and pepper works well with mint when you have fresh salmon. When cooking salmon on the flat top, it is really easy to get frustrated and check up on the salmon every now and again, but this will ruin the heat that has been built up. If you are to get the perfect cook on your salmon, you should stick to cooking them through before checking on them. We recommend cooking them for 7 minutes at around 400 degrees. This will ensure the salmon is thoroughly cooked. If you open the fryer and the salmon has not been cooked to your desired temperature, you can easily just adjust the timer and have them stay in the fryer for a little longer. It is also worth keeping in mind that salmon is really easy to overcook and many people have the tendency of overcooking salmon on their first try. Now that you have some of the top techniques required for cooking salmon, you might also be wondering which recipe works best. This recipe has been effective for giving us perfectly tender salmon that can be served with virtually any side dish. Let the salmon rest for an hour to reach room temperature. Cooking salmon in an Air Fryer is frowned upon by many chefs, but it can be done. With these tips and this recipe, you can have great tasting salmon in a matter of minutes to serve to your friends and family. The salmon can also be reheated in the Air Fryer, helping it to maintain the juicy and tender texture that you desire. We would like to thank you for reading this article and encourage you to share some of your thoughts on these techniques and this recipe. 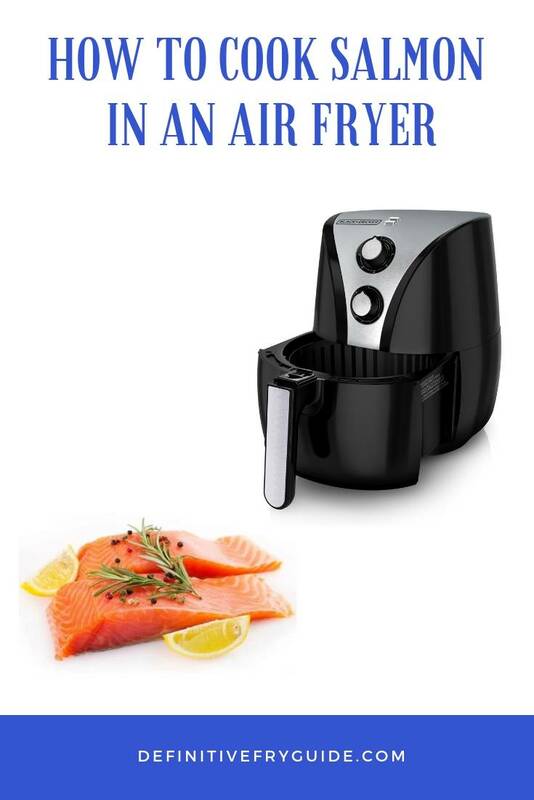 Also, let us know if you have any other tips we should have included for cooking salmon in an Air Fryer.